Africans have received awards in five of the six Nobel prize categories: Peace, Physics, Physiology or Medicine, Literature and Chemistry. The first Black African recipient, Albert Luthuli, was awarded the Peace Prize in 1960 and the first White African who received the prize was Max Theiler in 1951 for Physiology or Medicine. The most recent recipients, Ellen Johnson Sirleaf and Leymah Gbowee, were awarded the Nobel Prize in 2011. Max Theiler was a South African-American virologist and physician. He was awarded the Nobel Prize in Physiology or Medicine in 1951 for developing a vaccine against yellow fever in 1937, becoming the first African-born Nobel laureate. Leymah Roberta Gbowee is a Liberian peace activist responsible for leading a women's nonviolent peace movement, Women of Liberia Mass Action for Peace that helped bring an end to the Second Liberian Civil War in 2003. Her efforts to end the war, along with her collaborator Ellen Johnson Sirleaf, helped usher in a period of peace and enabled a free election in 2005 that Sirleaf won. She, along with Ellen Johnson Sirleaf and Tawakkul Karman, were awarded the 2011 Nobel Peace Prize "for their non-violent struggle for the safety of women and for women's rights to full participation in peace-building work." Frederik Willem de Klerk is a South African politician who served as State President of South Africa from 1989 to 1994 and as Deputy President from 1994 to 1996. As South Africa's last head of state from the era of white-minority rule, he and his government dismantled the apartheid system and introduced universal suffrage. Ideologically a conservative and an economic liberal, he led the National Party from 1989 to 1997. 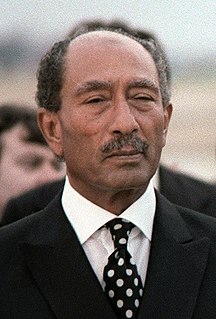 Two African laureates, Anwar Sadat of Egypt in 1978 and F.W. de Klerk of South Africa in 1993, were presidents of their countries at the time they were awarded the Nobel Prize. Sadat was honored along with Israeli Prime Minister Menachem Begin for their efforts to reach a peace agreement between their two countries. DeKlerk was awarded the Nobel Peace Prize along with Nelson Mandela, who led the ANC but was not president of South Africa until 1994. ↑ "Biography of Nelson Mandela". Nelson Mandela Foundation. Retrieved 8 November 2015.